One of the most important oral hygiene habits you can practice is flossing — unfortunately, it’s also one of the most commonly skipped practices for many Americans. In fact, according to one survey performed by Delta Dental, only 40% of Americans floss daily, while 20% say they never floss — yikes! As your relied upon Lincoln Dentistry, West Gate Dental always stresses the importance of proper and regular flossing habits — including how to properly floss, how often, and the benefits to flossing those pearly whites! Americans are spending more than $11 billion on teeth whitening products and treatments annually. This figure includes spending over $1.4 billion on at-home teeth whitening products. Having bright white teeth is preferred by many people, especially since bright smiles have dominated the world of entertainment and social media. The holiday season is a great time to get together with family and friends, exchange gifts, and enjoy lots of delicious foods and treats. 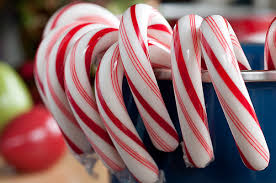 However, this does not mean we can neglect our teeth during the holidays. West Gate Dental wants to remind you to keep practicing your normal oral hygiene routine throughout the holiday season, especially when you are consuming more sugary foods and desserts. Our dentist and staff have put together an easy to-do list to follow and ensure your teeth stay healthy and cavity free this holiday season.